SoftBank- and Alibaba-backed digital payments and e-commerce firm Paytm is all set to acquire NightStay Travels Pvt. Ltd, a Delhi company that operates a mobile-based marketplace for last-minute hotel bookings, a person familiar with the development told VCCircle. A Paytm spokesperson didn’t respond to email queries and text messages seeking comment till the time of publishing this article. NightStay co-founder Nasr Khan did not comment. Earlier in the day, The Times of India reported, without mentioning the source of the information, that NightStay was acquired for around $20 million (around Rs 130 crore) in a cash-and-equity deal. The report also said that the entire team of NightStay will join Paytm. NightStay was founded by Khan and Deepak Negi in March 2015. It procures unsold inventory from hotel owners at a discount and offers the rooms under three categories – boutique, business and luxury class. It does not offer concessions on the discounted price. An IIM-Calcutta alumnus, Khan is the chief executive of the venture. He was earlier the vice president of the products vertical at Sanjeev Bhikchandani-led Info Edge (India) Ltd. Negi, an alumnus of the Symbiosis Center for Management Studies, is the chief operating officer of NightStay. The NightStay app is available on both Android and iOS platforms. It operates across Delhi-NCR, Mumbai, Bangalore, Chennai, Hyderabad, Goa, Ahmedabad, Jaipur, Kochi, Pune, Agra and Chandigarh. In May last year, VCCircle had reported that NightStay had raised an undisclosed amount in a pre-Series A round led by the Indian Angel Network and LetsVenture. In August 2015, NightStay had raised $500,000 in a seed round from Vivek Bihani of Bedrock Venture Management Pvt. Ltd, GSF founder Rajesh Sawhney and Shailesh Vikram Singh, who was then executive director at SeedFund. Paytm has been snapping up companies across different verticals to diversify its offerings. Last month, Paytm parent One97 Communications Ltd acquired Delhi-based mobile technology startup Cube26 Software Pvt. Ltd. In May, Paytm bought Chennai-based Orbgen Technologies Pvt. Ltd, which runs online ticketing platform TicketNew and was backed by common Chinese investor Alibaba Group. 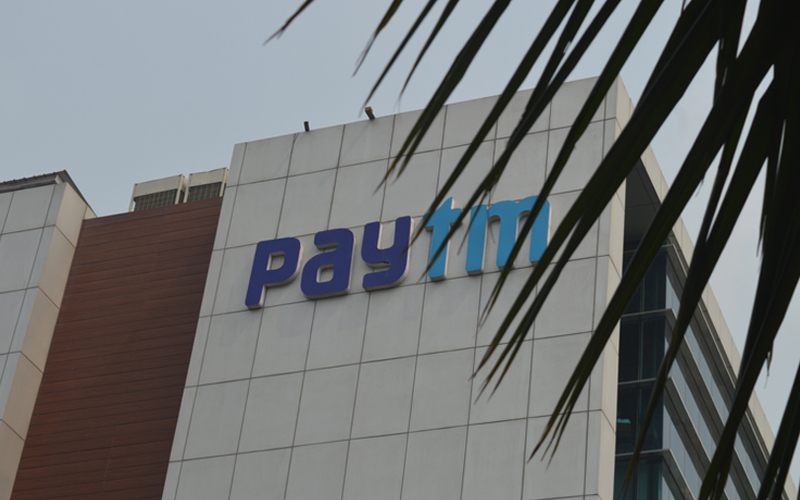 Paytm, founded by Vijay Shekhar Sharma, started off as a mobile recharge platform. But it has diversified to become a digital payments and e-commerce company. It has also started a payments bank. It operates these businesses through separate entities and has raised funding from the likes of Japan’s SoftBank Group Corp, China’s Alibaba and multi-stage investment firm SAIF Partners. For the financial year ended March 2017, One97 Communications registered a wider operating loss as it continued to burn cash heavily. Its consolidated loss before exceptional items, interest, tax, depreciation and amortisation expanded to Rs 1,304 crore from Rs 1,204.6 crore the previous year.